A few years ago Audi didn't even have an SUV - as the Americans like to call them - in its range. 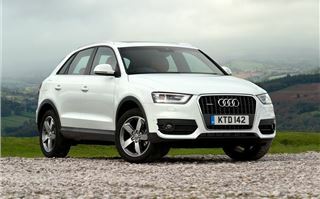 It had plenty of 4x4 models thanks to the option of quattro four-wheel drive on standard cars, something which still differentiates it from its big rivals Mercedes-Benz and BMW. 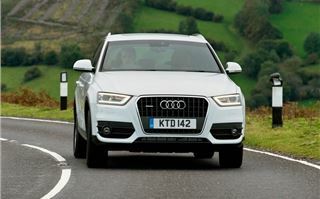 However, its first proper 'off-roader' didn't arrive until the big Q7 in 2006 which was soon followed by the Q5. 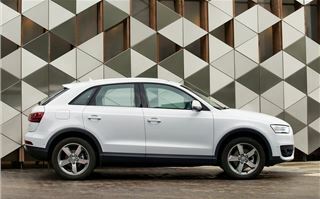 Now we have the third model in the Q line-up - the Q3. 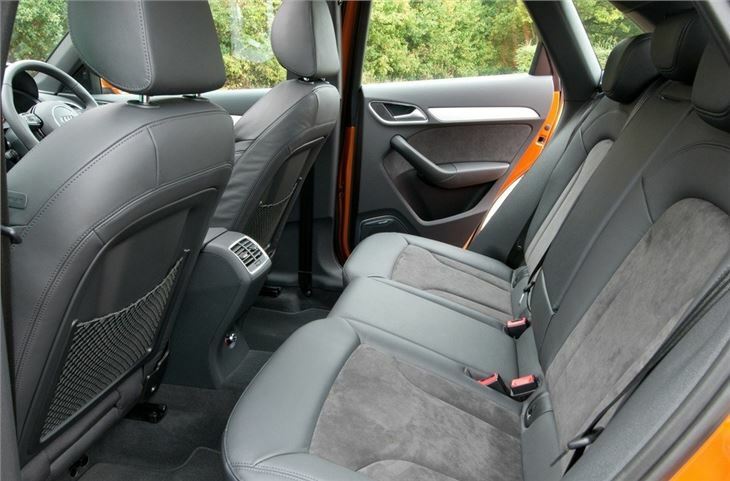 It's a compact size - not much longer than a Vauxhall Astra and ideal for urban driving - but still manages to be spacious inside. 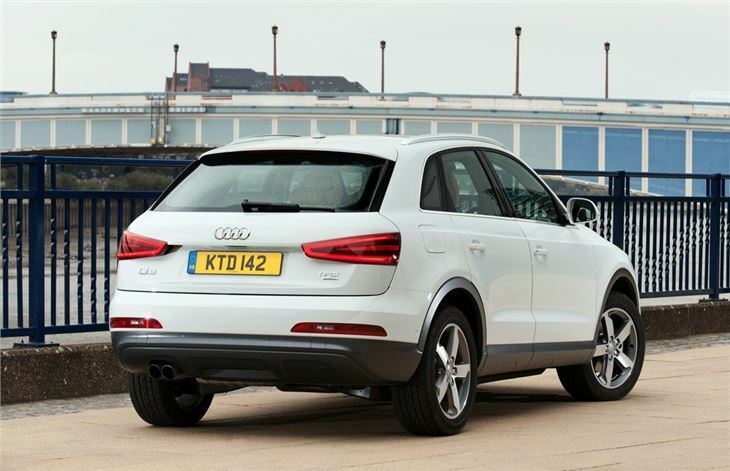 When it comes to looks, it's not exactly a big departure from the Audi formula, with a seemingly 'stick to what you know' design, but it does look distinctive, especially from the back with its sleek A1-style rear lights. 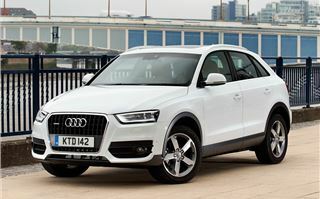 There are two engine choices in the Q3 line-up - a 2.0 TFSI petrol and a 2.0 TDI diesel - but the power differs depending on what gearbox you go for. The six-speed manual 2.0 TFSI has 170PS while upgrading to the seven-speed S tronic automatic gets you the 211PS version - which is the same engine that powers the Volkswagen Golf GTI (among others). As you'd expect it's the diesel that most people go for, with the Q3 using the very tried and trusted 2.0 TDI unit. The only two-wheel drive variant is powered by this engine and it's also the most economical. With 140PS it performs well with plenty of torque thanks to 320Nm, however the best aspect is fuel consumption at a claimed 54.3mpg along with CO2 emissions of 137g/km. 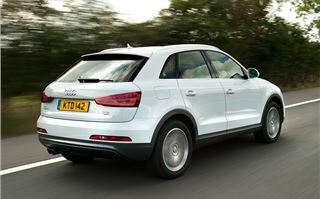 It's a good choice for company car drivers too with a BIK of just 20 per cent and the lowest list price in the Q3 range. 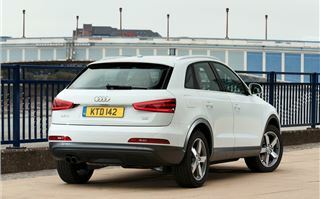 But what we're interested in here is the top 2.0 TDI quattro which is expected to be the choice of half of all Q3 buyers. 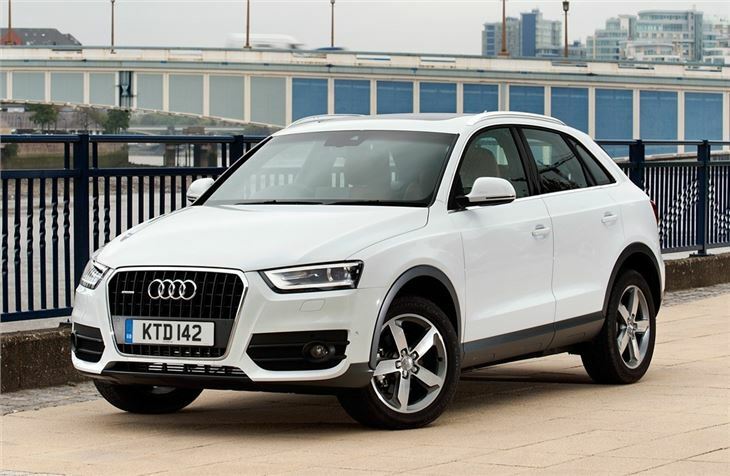 This is the more powerful 170PS version of the engine that's popular across plenty of Audi models and it's certainly got all the right qualities to work well with the Q3. The common rail unit is a touch noisy on start-up but well refined the rest of the time and impressively smooth for a four-cylinder diesel. It comes with a newly developed version of the seven-speed S tronic gearbox as standard (there's no manual option with the more powerful diesel) which is a twin-clutch automatic identical to Volkswagen's DSG. This gearbox hasn't been without its issues though, with plenty of our users finding fault with it. It does seem to work better when fitted to larger engines, yet it's still a good match for the 2.0 TDI helped by the fact the diesel has a maximum of 380Nm of torque which kicks in at just 1750rpm. Seven gears may seem a bit excessive but the S tronic works well as the rapid changes mean you can maximise all that torque at low revs, so it's very responsive when you ask it to perform. 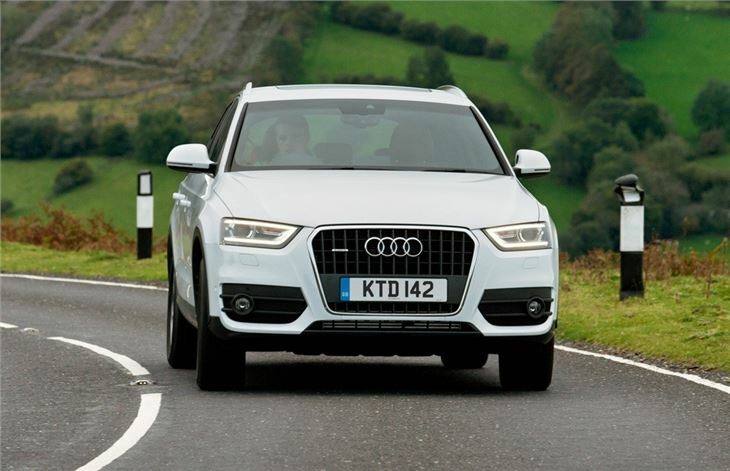 The in-gear pulling power makes overtaking straightforward too while 7th gear is ideal for efficient motorway cruising. This is reflected in a claimed fuel economy of 47.9mpg while emissions are 156g/km putting it in VED Band G - currently £165 a year. It can occassionally get caught out if you go straight from the brakes on to the throttle and want instant power, but in everyday driving it performs smoothly so that driving relatively briskly is still be a relaxed experience. Meanwhile, the quattro four-wheel drive system means that there's plenty of traction, something you notice when pulling out of a junction in the wet. 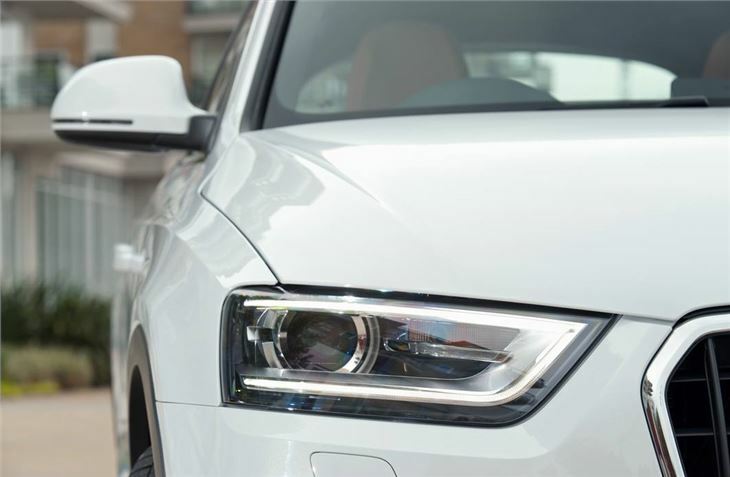 During normal driving most of the power goes to the front wheels, but if the rear wheels start to lose grip, the quattro system instantly sends power to the back axle. 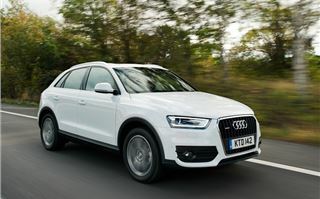 In fact for what is still an SUV, albeit a compact version, the Q3 handles really well, helped by its lightweight design. Both the bonnet and hatchback are made from aluminium which means it weighs less than 1600kg - around the same as a diesel-powered Ford Mondeo. As a result it's very tidy in corners and even when you start to drive with a bit more enhusiasm, it remains agile. There's also plenty of grip at the front. One slight disappointment is the steering. 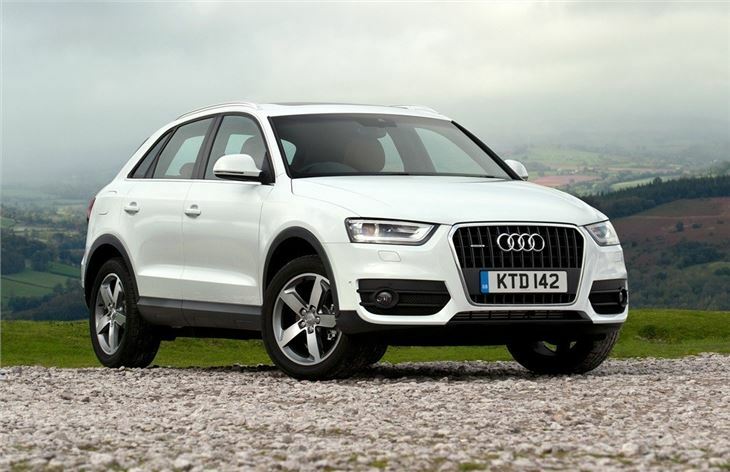 The Q3 uses a new electromechanical power steering system which is now fitted to the majority of new Audi models. While it's responsive enough, it feels quite artificial and doesn't have much in the way of 'feel'. Compared to other Audi models, the Q3 doesn't give you the same level of confidence in corners. The ride is on the firm side too, although this is always going to be a sacrifice for having minimal bodyroll in corners. It's not uncomfortable but doesn't cope too well with rough road surfaces. The standard suspension can be upgraded to include a damper control system (an extra that's available on top of the optional Audi drive select) which stiffens the shock absorbers in 'dynamic' while the 'comfort' setting makes them more forgiving. 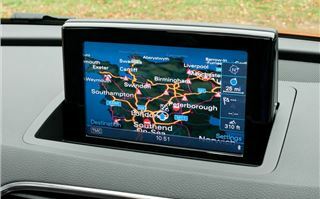 This system certainly has its advantages and the more comfortable setting makes the Q3 very smooth. However, the dynamic mode is simply too harsh with the suspension crashing over bumps. It's worth saving your money and sticking to the standard suspension setting which is a better compromise between ride and handling. Elsewhere, it's difficult to find fault with the Q3. 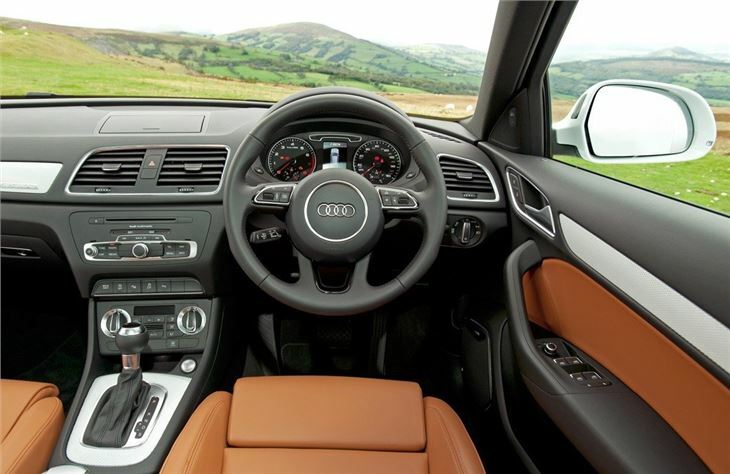 The interior quality is impeccable as we've come to expect from Audi and the cabin design is neat with intuitive controls and a smart 6.5-inch colour screen that flips up on the dash top. There's a hint of A1 with a similar stereo system while the small steering wheel and straightforward round instrument dials have a sporty feel to them. The raised driving position means good all round visibility and makes parking in tight spots easier too. There's a reasonable amount of room in the front and plenty of storage, but what's really surprising is how spacious it is in the back considering this is a 'compact' SUV, Okay, so it's no limousine, but two tall adults will find the back more than comfortable with good head room. 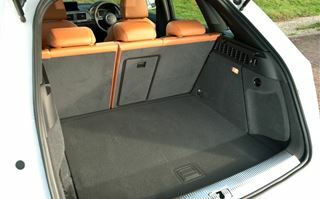 The boot is a good size with 460 litres of carrying capacity - that's 40 litres more than the BMW X1. There's a small boot lip but the load area itself is usefully wide with vertical sides and no intrusion from the wheel arches. 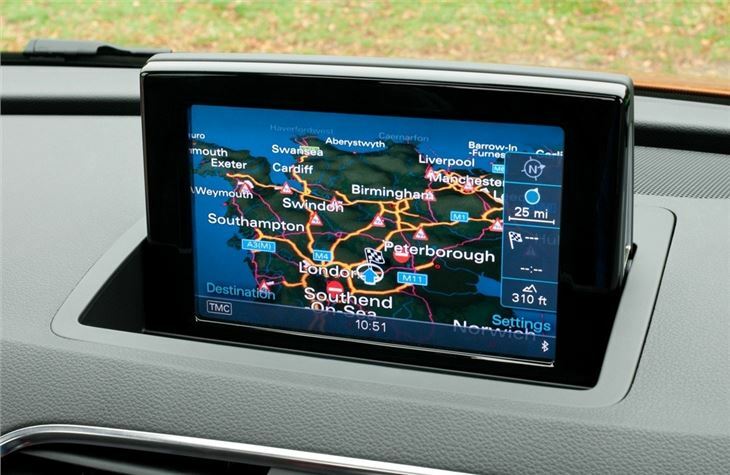 The Q3 is well equipped as standard and comes with plenty of things you'd expect would be extras, such as Bluetooth, the AMI (Audi Music Interface) so that you can connect your iPod or iPhone to the stereo system, dual-zone electronic climate control, parking sensors plus light sensitive lights and rain sensitive wipers. Black wheelarch surrounds and side skirts come as standard, but you can get them colour coded as an optional extra. 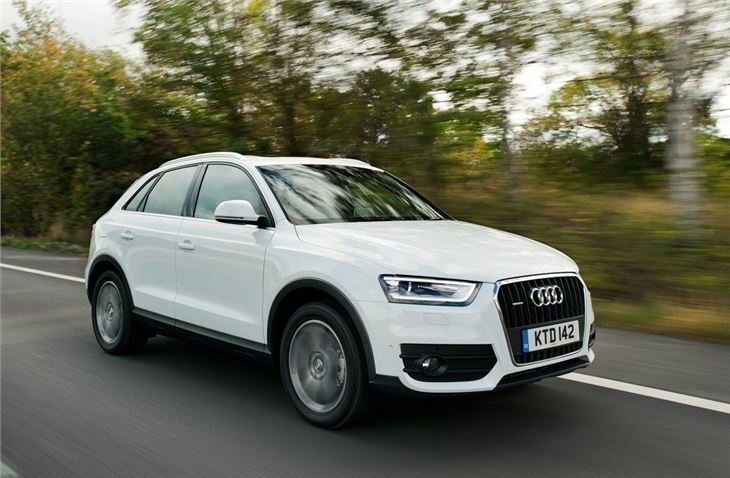 The Q3 is certainly a viable option as a family car and despite being the smallest model in the Audi Q range, it has many of the qualities of the larger Q5 and Q7. It's well built and economical - especially so with the TDI engine - and surprisingly roomy considering its compact dimensions. 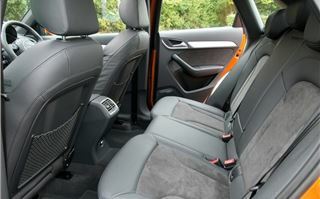 Compared to its main competitor - the BMW X1 - it feels higher quality inside and the handling is sharper too, although there's little to choose between them in most other areas. But when it comes to desirability and image, the Q3 just has the edge.